The event will include cultural exchanges, traditional performances, trade promotion activities, and agricultural workshops. At a meeting with special advisor to Japan-Viet Nam Friendship Parliamentary Alliance Tsutomu Takebe in the city on October 27, Vice Chairman of the municipal People’s Committee Le Thanh Liem said the city is honoured to host the event, the largest of its kind between the two countries, this year. Preparation work is on schedule, he said, adding that the city is ready for the opening ceremony on November 18. Takebe, also head of the organising board, suggested the southern economic hub work with Japan to ensure a successful event. 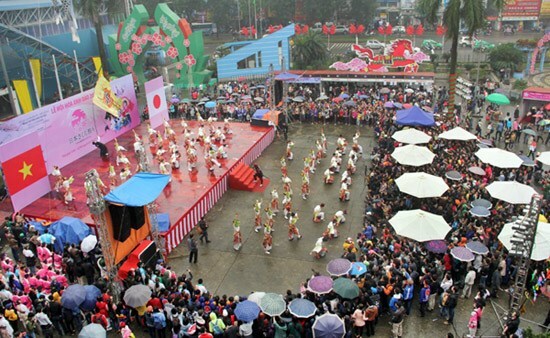 The annual Japan Festival in Viet Nam was first held in 2013 at the September 23 Park in HCM City. This year’s event is expected to welcome 180,000 visitors.